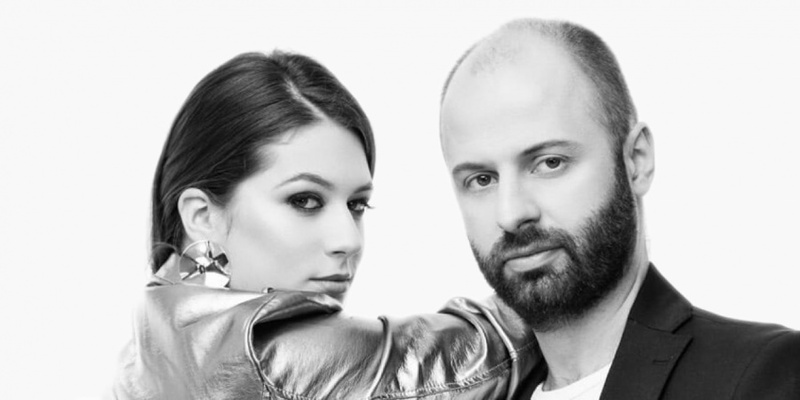 North Macedonia: Eye Cue to Eurovision 2018 with "Lost and Found"
The Macedonian broadcaster MRT has internally selected the duo Eye Cue for Eurovision 2018 in Lisbon with the song "Lost and Found"
The duo Eye Cue will represent North Macedonia at Eurovision Song Contest 2018 in Lisbon with the song "Lost and Found". The song is written by Bojan Trajkovski – the male part of the duo. The Macedonian broadcaster MRT has internally selected the duo, from 382 songs received. – The selected composition has a contemporary sound, impressive refrain and text, excellent and original vocal abilities of the performer, which certainly offers the opportunity for a quality Eurovision package and a worthy presentation of MRT and Macedonia at this prestigious music event organized by EBU. The duo Eye Cue is a well-known Macedonian alternative rock band made up of Bojan Trajkovski and Marija Ivanovska. They have been performing as a band since 2005. In 2007 they started collaborating with the renowned Macedonian producer Valentino Skenderovski, with preparing material for their debut album Superstar Wannabe. The video for the first single Magija became a major succes for the band, when it was released in 2008. In 2010 they entered the MTV Adria top 20 with the song Not This Time, and were also featured on the show MTV Express, where they performed songs in acoustic versions. North Macedonia first appeared in Eurovision Song Contest 1998, and has been participating 17 times. Macedonia hasn't had the greatest results in Eurovision. The best result was in 2006, where Elena Risteska finished 12th with the song "Ninanajna". They never came last, but only managed to qualify for the Grand Final 5 times out of 14 since the introductions of semi-finals in 2004. The last ten years they have only qualified for the Grand Final one time: In 2012 (Kaliopi - "Crno I Belo").